The 0186-024 is a 10 piece surveillance kit which features 10 x 241Q Axis video servers. 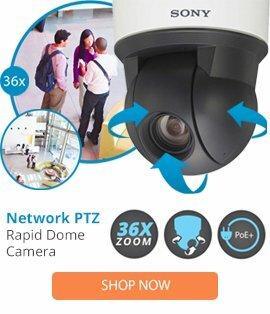 The 0186-024 surveillance kit comes with de-interlaced high quality video, simultaneous motion MPEG-4/JPEG streams, video motion detection, as well as PTZ/dome camera support, and comprehensive security features. The 0186-024 surveillance kit also comes with a 160 x 120 to 704 x 576 resolution, a 30fps rate, an intelligent video/video loss/external input alarm triggers, as well as a 9MB video buffer. This surveillance kit features high quality and reliable equipment, and comes easy to setup and install for all users.